The Rebel Girls' Club, along with the Lansing Lions' Club, prepared Christmas Baskets for families in Lansing. 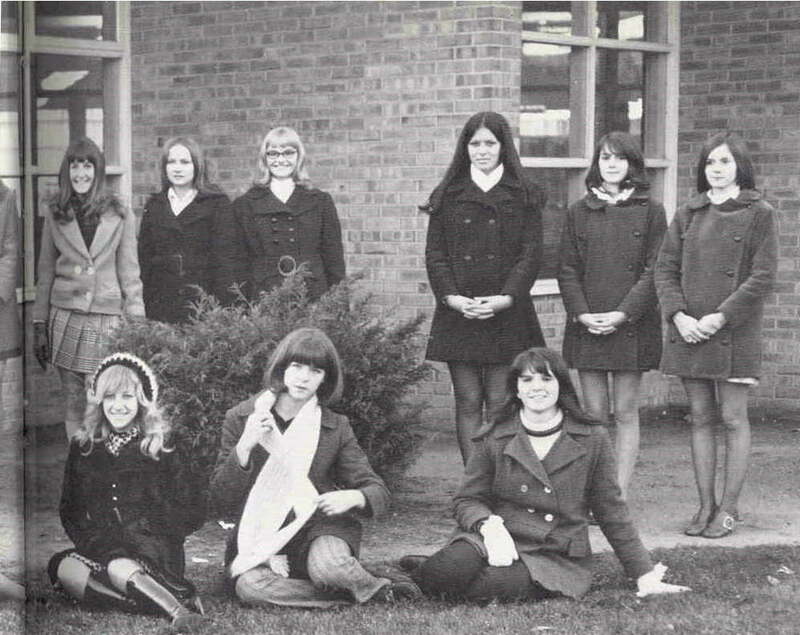 Considered to be one of T. F. South's most active organizations in the past, the Girl's Club has glowed again in 1970-71. Under the leadership of President Pam Miller, Girl's Club has carried on tradition and has also introduced some new and valuable ideas. With the aid of the sponsor, Mrs. Beare, the Girls' Club Board successfully staged the winter semi-formal, "Moments to Remember," and other annual events such as the Big 'n Little Sister Party, Teacher Appreciation Week, the National Honor Society Tea, and Dad 'n Daughter Night. 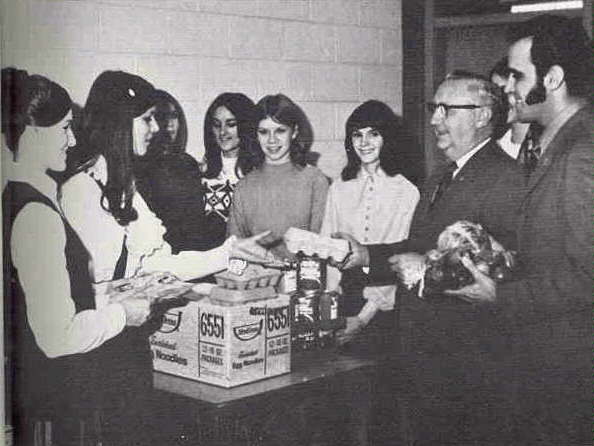 While busy helping Rebel girls learn the social graces of hostessing and attending public functions, Girl's Club also sparked a giving spirit among the Rebels with special Christmas projects. Displaying the typical talents of a Rebel, T.F.S. girls busily sewed dolls and stuffed animals which the Club donated to the Marine drive for "Toys for Tots." With the aid of the Lion's Club, the girls also filled Christmas baskets for needy families. All in all, the past year has indeed found the Girl's Club prosperous once again.